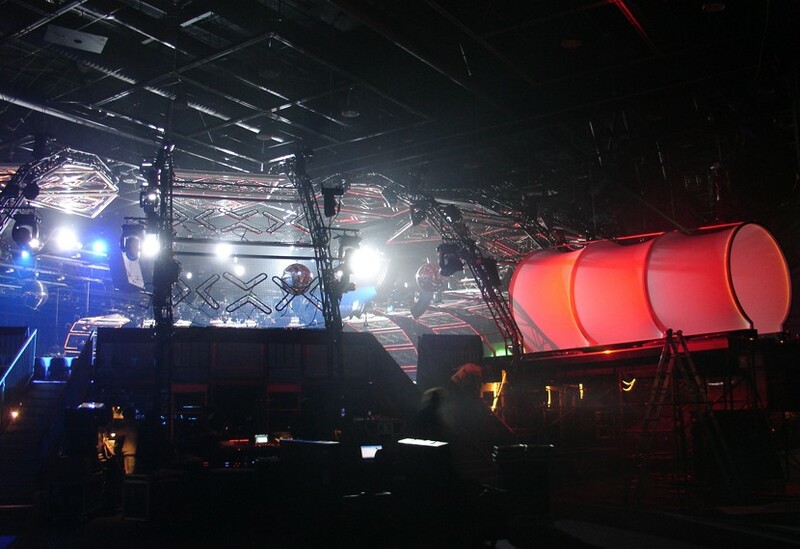 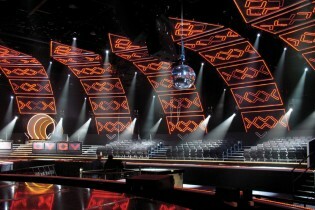 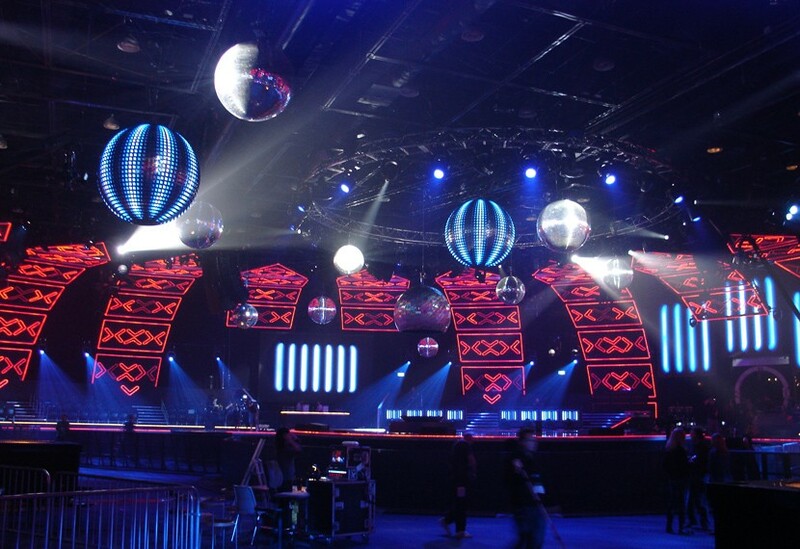 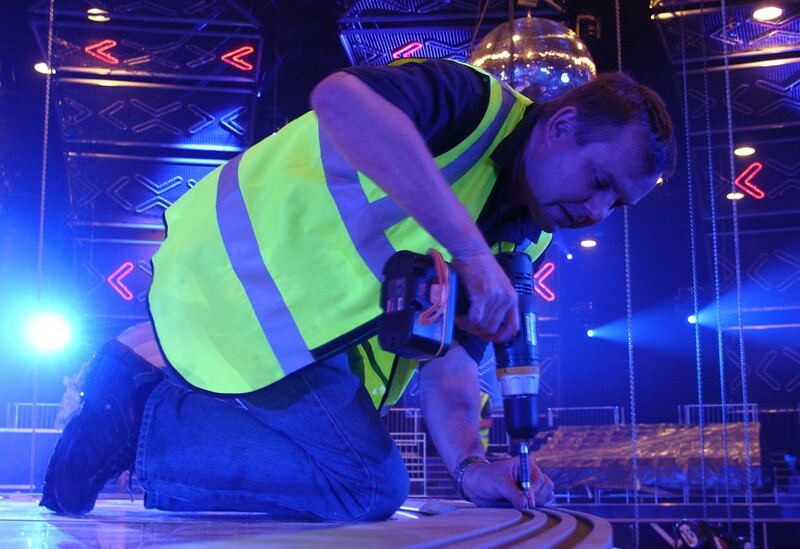 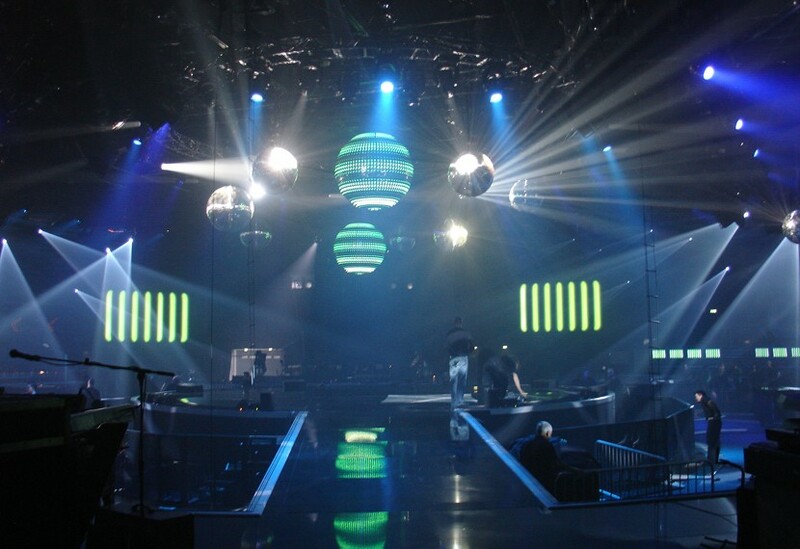 The set consisted of a 40m diameter horseshoe shaped stage, a further central performance area, several presenter islands, two time tunnels providing unusual access points onto the stage and a stunning surround & backdrop with 108 illuminated panels. 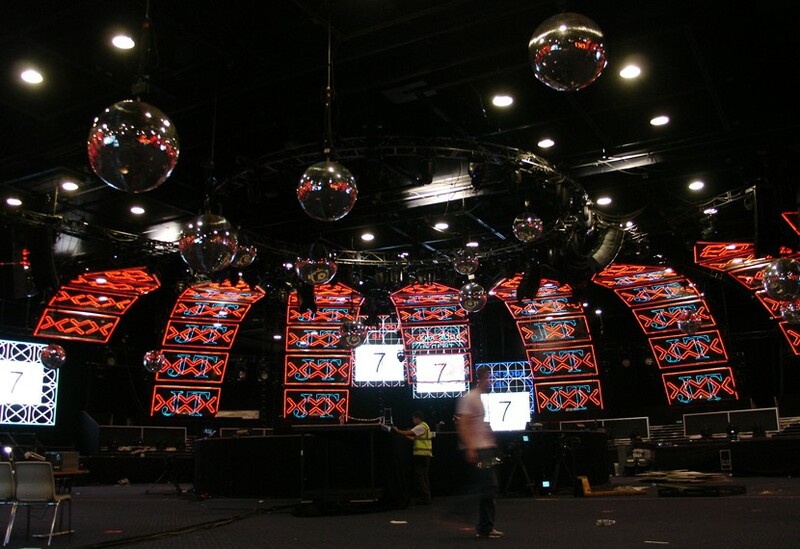 Each panel consisted of a steel frame, a weld-mesh backing and mounted CNC profiles. 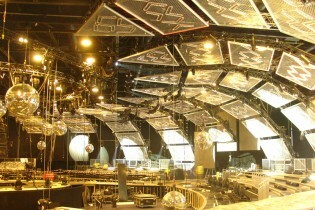 The panels and profiles were each edged with Neo Lights offering 11 circuits per panel.